If you own Samsung Galaxy Trend GT-S7392, please do leave your feedback too. 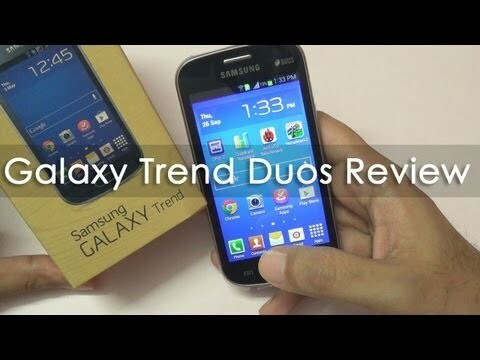 The Galaxy Trend is Samsungs latest contender in the hot under Rs. 10k segment fighting against the MicroMax Fun A76, Lite A92, Sony Xperia E Dual and many more. The Trend is available in trending colours like the Wine Red, Midnight Black & Ceramic White. It has 512MB RAM and a decent 4GB internal memory which with the help of microSD can be expanded up to 32GB. Talking about the camera; it has a comparatively low 3MP rear-facing camera and lacks a front-facing camera which its competitors have to offer. It has a reasonably-sized 4-inches screen with 480x800 pixel resolution. It has a Dual SIM provision. It runs Android Jelly Bean 4.1 version which is powered courtesy of a single-core 1GHz (most competitors have dual-core at least). An additional feature Samsung has provided for Indian users is the 9 regional languages for the user interface and even for user input.